With the weathermen talking of record numbers of days without sun, it's as if the current state of the economy is not enough to dampen spirits, but the weather is also piling on the misery. The GAA schedule has been hard hit. Two mid-week games had to be postponed, and over the weekend all of Saturday's games and some of Sunday's games also had to be postponed making a total of 6 games to make up. They could not even be rescheduled for this week, so poor are conditions still. In any case, following the fixtures that were played on the senior front, the Wolfe Tones have started to make a move towards the upper end of the table, and it looks like the Donegal McAnespies showdown on July 26 will be eagerly anticipated with both teams on full points. Barring an upset between now and then, things could well remain that way. Christopher's will have a few games to test them later in the year when they face the Wolfe Tones and the Gaels, while the Gaels themselves will need to pick it up to avoid finding themselves looking at the Intermediate playoffs again. The Shannon Blues should also be in the mix for the senior playoffs as they played hard against Donegal, but could not convert chances often enough to worry the northerners. Let's hope that July and August bring some relief from the wet and cold and things can get back on track. Cork won their first senior championship game in two years at the expense of a Fr. Tom Burke’s side that could not seem to match Cork’s desire when it came down to it. It was not a day for pretty stuff, and Cork did not try for elegance as much as the direct approach. Tom’s took a 4 point lead into the break, but two Cork goals, one a brilliant strike and the other a fortunate break, took the initiative away from Tom’s in the second period. In the end it was the rebels who persevered to the bitter end of a hard fought game to claim the reward of two championship points. The first half was an evenly contested affair. The slimmest of margins separated the sides until Fran Keenan drilled a 21-yard free into the back of the net on the stroke of half time to put Tom’s four points to the good at the break. Brendan Butler opened the scoring for Cork with a point. Butler proved to be a lynchpin for Cork at center forward, and with his first instinct to run, it proved to be an asset for the Corkonians. On a better day the early strike might have been more effective, but on several occasions Butler’s strength carried him through the Tom’s defence. The sides were content to trade scores in the opening quarter, John Cuddy and Fran Keenan pointed for Tom’s, while Johnny Fitzgerald and Butler did likewise for Cork. Tom’s started to win most of the possession in the middle of the field. Trevor Kelly was hitting the corners, and eventually Tom’s strung some scores together. Kelly, Cahir Healy, who just came off a tough football game with Donegal, and Keenan put Tom’s two to the good with three unanswered points. All the while Cork wasted several chances for scores and one wondered whether it would cost the rebels in the end. After Johnny Fitzgerald reduced the deficit to a point, Keenan struck with the goal and Tom’s were looking good. Trevor Kelly shakes the tackle and sets up Fran Keenan's 21-yard free late in the first half. John Cuddy put Tom’s five points to the good less than a minute after the restart, and it looked like all that would be required from Tom’s was to keep ticking over and avoid making any costly errors. Cork, however, had other ideas and went on a ten points to one scoring spree in the next 20 minutes. Goals from Brian O’Loughlin and a fortunate one from a long range Mike Allen free stunned Tom’s. O’ Loughlin finished off a trademark run from Butler with a first time strike into the corner and Cork spirits rose. Allen, who had just pointed from distance, struck another long ranger. The ball dropped into a crowded box and found it’s way over the line. Cork were now two points to the good and sensed that the day just might be theirs. Tom’s went from likely winners to having to raise their game a few levels to save the points. It got worse as for Tom’s as a rampant Cork took advantage of their reeling opponents and pointed three times without reply to open a five point lead. Cork had to make some goalmouth clearances as Tom’s grew ever more desperate for a goal. Former Cork “shadow squad” player, Wesley O’Brien, came away with several balls as he defended deep. Trailing by four points and with three minutes left, Tom’s hit with a goal. Seamie Moore got the tip onto a high ball into the box, and an exciting finish was set up. Tom’s, however, could not find the equalizer and the last score of the game came from a Mike Allen free in injury time to make it safe. Joy for the rebels who could take another scalp or two before all is said and done. Cork: P. Mannix, K. Price, R. Devereaux, T. Scanlon, T. Healy, W. O’Brien, J. Fitzgerald (0-3), M. Noonan, B. O’Loughlin (1-2), B. Butler (0-2), M. Lyons, M. Allen (1-4), R. Hallinan. Tom’s: A. Bindon, P. Callnan (0-1), S. Staunton, D. Dooley, D. Moore, J. Dowling, T. Kelly (0-1), C. Healy (0-1), J. Cuddy (0-2), M. Moore, F. Keenan (1-4), E. Murphy, S. Moore (1-0). Sub: J. Moore (0-1). The last game of the day saw Wolfe Tones come out on top over a Connemara Gaels side that threatened to make a run on a few occasions, but could not sustain the momentum. In spite of scoring just three times in the first half, the Gaels actually led by a point after 20 minutes, but the Tones raised the tempo when required and made their annual case for championship contenders with a very good display in difficult conditions. The Wolfe Tones had the upper hand for most of the first half. The only blemish on the first half performance was two conceded goals that will have the backroom staff emphasizing concentration in defence, since the apart from that, the Tones were solid at the back. The Tones put three points over the bar before the Gaels got themselves on the scoreboard. The Gaels struggled to maintain possession and moves out of defence constantly broke down. The poor conditions could be used as an excuse, except for the fact that the Tones did not seem to suffer the adverse effects to the same degree. The Tones, in marked contrast, played some good passing football. Sean McVeigh was an important factor in midfield for the Tones, and each time the Tones were in possession a score looked likely. Wing forward Gary Sayers opened the scoring for the Tones with a point, and almost had the ball in the back of the net shortly afterwards as he latched on to a poor pass out of defence. Chris Kerr made a great save to deflect the close range shot over the bar. After Marty Farrell put the Tones three points ahead, the Gaels drew on level terms. A low ball across the face of goal was tipped into the net by a diving Michael Magill, who capitalized on his first real chance. The Tones continued to pick off the points however as Stephen Donaghy and Sayers restored the lead to two points. The Gaels struck again with a second goal. This time Aiden Flanagan finished a good move and buried the ball from close range. A performance lifting score for the Gaels? Quite the opposite as the Tones response was efficient and ruthless. The Tones tallied a Marty Farrell goal and three points in the final 10 minutes of the half put them firmly in control of proceedings. At the break it was the Tones ahead by five points, 1-9 to 2-1. In the second half the Gaels looked to eat into the Tones lead, and in the early going that looked like a possibility. Three points came in the first 10 minutes, and while the Tones kept some distance with points from Brian Maguire and Donaghy, at least the Gaels were competing on level terms. Michael Magill, Thomas McDonagh and Michael Martin found the mark for the Gaels. With the Gaels pushing into Tones territory with more frequency than in the first half, the Tones struck a killer blow mid way through. Having won the ball on their own 14 yard line, the Gaels again gave away possession in a dangerous spot, and this time a goal did come. Dan McCabe made no error as he picked up the errant handpass and rounded the keeper and chipped into the empty net. From a Gaels viewpoint it was a case of a lot of hard work undone by one mistake. With seven points now separating the teams the Gaels went looking for a goal. With less than 10 minutes to go a missed 21 yard free underlined the Gaels troubles. The Tones banged some bad wides, but holding the lead and time running out they were as good as scores. The Gaels gained some hope as Derek Scullane was sent off for a second bookable offence, and from the resulting free the Gaels scrambled the ball over the line to put four points in it with 5 minutes to go. Conor Magill made it a one score game as the Gaels looked for a last gasp chance to at least steal a point, but Donaghy made the game safe for the Tones with an injury time point. The Gaels will be disappointed since having lost to Donegal earlier in the year, this was another game where the westerners fell short against one of the big guns. Tones: D. Lyons, E. McHugh, P. Warren, J. Farrell, D. Scullane, B. Maguire (0-1), C. Canning, S. McVeigh, G. Sayers (0-4), D. Walsh, S. Donaghy (0-5), D. McCabe (1-0), M. Farrell (1-2). Gaels: C. Kerr, F. Doyle, M. Kelly, C. Conroy, D. McClarnon, N. Taggert, A. Flanagan (2-0), M. Dougan, J. O’Brien, M. Martin (0-2), K. Cox, M. Magill (1-1), T. McDonagh (0-1). Sub: C. Magill (0-1). With the surface of the main field in Canton sodden thanks to another week of rain, a spectacle was not on the cards. Not surprisingly there was a lot of hard work put in by both sides in the poor conditions. With an already strong side joined by Ryan Bradley, Donegal would have been favoured to win. The men from Tir Chonaill ended up comfortable winners on the scoreboard, but truth be told had the Shannon Blues not missed a plethora of chances in both halves the Donegal faithful would have been a lot more nervous come the last five or 10 minutes. After 20 minutes it looked as if Donegal could run away with the game, but the Blues started to dig in late in the first half. Things looked hopeful for a time, but the Blues never got close enough to put Donegal under some real pressure. Donegal dominated the first 20 minutes of the game. The northerners registered the first 5 points of the game, and a goal at that stage would have settled matters early. One almost came from Cormac Mullins whose shot hit the outside of the post as he bore down on goal. The Blues failed to score during that time, and had themselves partly to blame, kicking 6 bad wides in the first half. Corner forward, Eddie Mannion, opened the scoring for Donegal with a point in the first minute. Donegal defended well, not letting the Blues forwards find any sort of stride. Cahir Healy put in a good performance at corner back, as did Peter Fahy at wing back. Further scores came from Ryan Bradley, Kevin Curran, and the aforementioned Fahy. The Blues came back into the game for the final 10 minutes. The defence lifted the team as time and again the Donegal attack broke down and things did not come as easy for them as in the opening quarter. A bit of niggle came into the game and Brian Gallagher issued 4 yellow cards, two to each side for bad challenges. The Blues also lost keeper Declan Hawes to injury, and Ken Kileen came in to replace him. The Blues registered their first score of the game in the 28th minute – a free from corner forward Alan O’Donoghue. O’Donoghue soon followed with another, and with half time approaching, things looked brighter for the Blues. Eddie Mannion pointed a free just before the break to make it six points to two in Donegal’s favour at the half. Shannon Blues' Stephen Gilmartin lines up a shot. The Blues started the second period well, and registered the first score. Philip Lydon reduced the deficit to three points. Donegal’s response was immediate, and unfortunately for the Blues, it was in the form of a goal. A sweeping move after the kickout ended in Cormac Mullins sliding the ball under the advancing keeper. Now behind by 6 points, and scores at a premium, the Blues now had it all to do. O’Donoghue put a beautiful kick over the bar with eight minutes gone in the second half, but in spite of a lot of hard work, the Blues could not make significant inroads. The northerners pointed three times on the trot to kill off any chance the Blues had of getting a result, Bradley, Fahy, and Eddie Mannion were the scorers. With the game beyond them, the Blues continued to battle, and continued to waste good scoring chances. A hard fought win for Donegal, and with a little work on the shooting, the Blues could be there or thereabouts. Donegal: M. Hennessey, C. Healy, S. Lee, P. Fahy (0-2), S. Hannon, M. McGowan, M. McGinty, D. McNulty, K. Curran (0-1), R. Bradley (0-3), R. Withery, E. Mannion (0-3), C. Mullins (1-1). Blues: D. Hawes, S. Kelly, T. Wallace, B. Maloney, P. O’Brien, J. Blade, E. O’Neill, S. Gilmartin (0-1), E. Mularkey, S. O’Mahoney, C. McGee, A. O’Donoghue (0-3), P. Lydon (0-1). The Tir na nOg ladies senior footballers put in an impressive hour of football as they brushed aside the challenge of the Boston Shamrocks. With superior fitness and an impressive display of passing, Tir na nOg controlled the game from start to finish. A first half hat trick from Catriona Traynor put the in the driver’s seat. The Shamrocks tried hard, but struggled to compete as the game was really as good as over by half time. Tir na nOg opened with a goal from Catriona Traynor, which was answered by the Shamrocks with two points, Jillian McGrath and Emma Harris the scorers. Tir na nOg then took off and left their opponents in the dust. Three points on the trot from the impressive Amanda Brosnan, who plays her football back home with Dr. Crokes, followed by a second Traynor goal put some daylight between the sides. When the corner forward completed her hat trick, all in the first 20 minutes, the game was over as a competition. All that was left to do was admire the Tir na nOg display and wonder whether the Shamrocks can improve enough by the end of August to catch them, or even Roscommon. Stranger things have happened on the ladies front over the years. In any case, Tir na nOg continued to put the points over the bar. The Shamrocks cause was not helped with the loss of Kathleen Rohan to an injury. Traynor, Brosnan, and Tyrone native, Emma Conlon, impressed for Tir na nOg and each brought something different to the table. Brosnan’s strength and determination made her hard for the Shamrocks to contain, Traynor’s scoring prowess makes her a huge asset, while much of Tir na nOg’s play was through Conlon in the middle of the field who showed some great passing ability. The second half continued as the first did. Arlene Maguire, Emma Conolon, and Claire Hehir also got their share of the feast of points on offer for the ravenous Tir na nOg forwards. The Shamrocks mounted several attacks, and had their shooting been better would have softened the look on the scoreboard, not to mention that the Tir na nOg back line formed a solid barrier for the Shamrocks to surmount. Jennifer Maginnis netted a consolation goal late in the second half for the Shamrocks, but at on the day, there was no way for them to contain Tir na nOg. It might be too early to be crowning champions, but it’s hard to see how Tir na nOg will be beaten unless some serious help comes their opponents way. Tir na nOg: F. Gohery, A. Kelly, M. Moloney, S. O’Brien, N. O’Neill, A. O’Gorman, N. Daly, E. Conlon (0-3), C. O’Loughlin, A. Colfer, A. Brosnan (1-6), L. Breathnach (1-0), C. Traynor (3-1), C. Hehir (1-4), A. Maguire (0-3). Shamrocks: M. Harrison, C. McCollough, R. Lowrey, M. Lyons, S. McGrath, S. Ahern, L. Corrigan, A. Maguire, A. McDonnell, J. McGrath (0-2), E. Harris (0-2), M. Allen, J. Maginnis (1-0), S. O’Connor (0-1), K. Rohan. In spite of the miserable weather there was a full schedule of games on Sunday. Regretfully I did not get to the Irish Cultural Center. I was looking forward to going and bringing the kids (honestly), and have a father’s day dinner of chicken fingers and curry fries (curry sauce and chips) after the games, but after a night of rain Saturday night and persistent drizzle that varied from light to heavy during the day Sunday, I decided that I could not subject the kids (or myself) to the miserable conditions and try to get it together in what would likely be a press box bursting with humanity. Also, I was not going to head off on my own, sans enfants, for several hours given that it was father’s day. Anyway, I missed all Sunday’s action so no reports, my apologies. And while we’re on the weather, for those of us living in the Boston area, it has been absolutely miserable. So far it has been more like what we were used to at home in Ireland. In June it has rained for 15 out of 21 days. Great for making the grass green and the garden grow, but lousy for those of us who were looking forward to some good summer weather. I did get most of the results. McAnespies junior footballers beat the New England Celtics by a point, 1-12 to 4-5. Macs were well ahead at half time but the Celtics hit with a few second half goals to come charging back, but Macs kept their noses in front. In senior football Shannon Blues beat Kerry, McAnespies beat Cork, and Donegal beat Wolfe Tones by a goal, 2-5 to 1-5. In senior Hurling Tipperary made it 2 out of 2 with a 0-11 to 0-8 win in conditions that were less than ideal for hurling. Tipp led by 0-9 to 0-4 at half time, and in spite of managing just 2 second half points did enough to put themselves alone on top of the table. The scoreboard in Canton still reflected Mayo’s heavy defeat to Donegal as last weekend ended on a bad note for the westerners. They picked themselves up again to face a Christopher’s side that was 2 for 2. The game turned out to be a tremendous affair where the result was in doubt until the very last kick. Mayo looked to be cruising after the first half, but Christopher’s showed some great commitment to come storming back and hold on at the end for the win. In a small bit of irony, two Crossmolina natives played a heavy part in Mayo’s downfall. Christopher’s started out looking strong and for the first five minutes enjoyed most of the possession. Brian McNally opened the scoring with an impressive point. Mayo struck with a goal after 5 minutes and then proceeded to settle down and played some lovely passing football. Ian O’Dowd netted from close range. With the Mayo players running in support of each other, another goal and three points followed. It could have been more; Ryan Graber in the Christopher’s goal was called upon twice to make point blank saves, and Mayo missed a couple of very point-able chances. The best Mayo point came from Patrick McHale, the midfielder finished off a lovely passing move that was a hallmark of Mayo’s first half display. Mayo’s second goal came courtesy of a hesitant pass out of the Christopher’s defence, and Pat Walsh capitalized for maximum punishment. Christopher’s brought themselves back within touching distance towards the end of the half and popped three points over without reply. Sean Kelly was the driving force at center forward. The Crossmolina man pointed twice and McNally once to make to 0-6 to 2-4 in Mayo’s favour at the break. Christopher’s made some half time changes. Mark O’Sullivan was introduced to corner forward – a change that paid hefty dividends. After Mayo extended their lead with the first two scores of the second half, courtesy of Barry O’Donovan and Pat Walsh, Christopher’s back line dug in. Showing more commitment in the tackle, Christopher’s provided little room for the Mayo forwards to operate. Points came from Ian Dowling, Kelly, and Brian McNally. Mayo led by a goal entering the last 15 minutes. Things were all going Christopher’s way as they won most of the midfield exchanges and applied a lot of pressure on the Mayo back line. Dowling showed a keen left foot to point, and shortly afterwards Christopher’s took the lead with a well worked goal. Substitute O’ Sullivan showed great experience in making the extra pass to find Brian Lonergan alone in front of goal and Lonergan netted. Dowling again stroked the ball over with the left and Mayo looked to be on the ropes. Corner back Martin Wynne tried to provide a spark to re-ignite the Mayo challenge. A give and go following a run the length of the field resulted in a goal that put Mayo a point to the good, but it was Christopher’s who got themselves fired up following the score. Dowling, the other Crossmolina man in the Christopher’s forward line, leveled the scores with another superb point, and then Christopher’s struck with a second goal, this time from O’Sullivan himself. The former Cork county player was fed by Dowling in front of goal, sidestepped his man and slotted home. Dowling followed with another point and Mayo’s goose looked cooked. The westerners lifted themselves and kept it exciting until the very last kick. The Connaught men came within two points as Barry O’Donovan pointed twice from frees, but Christopher’s weathered the late storm to maintain their 100% record. Mayo: D. O’Malley, M. Wynne (1-0), M. Murphy, M. Carolan, G. Toner, D. Murphy, Paudi Walsh, P. McHale (0-1), B. O’Donovan (0-3), S. Hughes, Pat Walsh (1-1), K. McAllister (0-2), K. McAllister, I. O’Dowd (1-1). Christopher’s: R. Graber, N. Ryan, E. Cotter, B. Kelly, J. Kavanagh, I. Foley, D. Kenneally, M. O’Meara, P. Kenneally, S. Kelly (0-3), I. Dowling (1-5), B. Lonergan, B. McNally (0-5). Sub: M. O’Sullivan (1-0). Donegal dispatched Mayo with little difficulty in their senior football encounter. From start to finish Donegal looked the far stronger side. The forwards took a little while to get going, but once they did Donegal pulled away and never looked in danger of losing this game. An early goal put the northerners in the drivers seat and was a harbinger of what was to come for the rest of the game. Cahir Healy made a great run and when the Laois man pulled the trigger, his shot hit the post. The ball ended in the hands of Eddie Mangan who finished well. Kevin Curran and Mark McGowan followed with points before Mayo opened their account. Mayo’s most dangerous forward, Barry O’Donovan pointed well from a difficult angle. Donegal defended well and enjoyed the lions share of possession, but their finishing let them down on a number of occasions. In the early going the half backs showed the way on the scoring front as they surged forward. Corner forward Cormac Mullins missed a 21-yard free, but the Kerryman made up for it from the kickout with a point from play. Mullins’ free taking improved from then on as he did not miss another for the rest of the game. Mayo came into the game a little more as the half wore on, Stephen Hughes and O’Donovan pointed three times between them. Donegal, however, put some thumping points over the bar. Michael McGinty and Gavin Hoey each scored from distance to end the half and Donegal led by a score of 1-10 to 0-4. Donegal opened the second half with four points on the trot. Mangan, Hoey and Mark McGowan each pointed. Cahir Healy’s form continued at wing back and he broke up some promising looking Mayo attacks. After O’Donovan pointed for Mayo, Ian O’Dowd goaled - was a comeback on the cards or mere respectability? It proved to be the latter. Donegal were just too strong for the westerners. Eddie Mangan answered right away for Donegal with a second goal 12 minutes into the half, and substitute Ross Wherity made it three in the goals column for the Tir Chonaill men with the game reaching it’s inevitable conclusion. The St. Eunan’s Letterkenny clubman finished into the corner from a tight angle. Donegal ended the game with the final eight scores as they cruised to victory. Wherity caused plenty of problems after entering the game, and notched two additional points. The gangly youngster could become a permanent part of the team before the season is out. Donegal: M. Hennessy, S. Lee, R. McLaughlin, M. McGowan (0-3), S. Hannon (0-1), C. Healy, D. McNulty, C. Bell (0-1), K. Curran (0-2), M. McGinty (0-1), G. Hoey (0-3), C. Mullins (0-3), E. Mangan (2-3). Sub: R. Wherity (1-2) Mayo: D. O’Malley, S. Clifford, M. Murphy, P. Shivers, P. McHale, M. Hunt, J. Toner, P. Walsh, K. McAllister, P. Walsh, I. O’Dowd (1-0), B. O’Donovan (0-6), S. Hughes (0-1). Wolfe Tones gained some measure of revenge for last week’s defeat of the senior team by beating McAnespies in their Junior A encounter on Sunday morning. Following a close first half, Wolfe Tones stepped up in the second half to separate themselves from a wasteful McAnespies side, and in spite of being a man down for the second 30 minutes, played with great heart in defence and made the most of their chances up front. Following overnight and early morning rain, conditions were greasy underfoot, and the ball at times squirted out of hands like a bar of soap. The Tones got off to a great start with a Danny Munnelly goal in the opening minutes. Nigel Regan responded with a point for McAnespies. The Tones extended their lead with points from Michael O’Brien and Marty McGeough. O’Brien played a stellar 60 minutes for the Tones at wing back, and along with his fellow defenders made life hard for the McAnespies forwards. McAnespies came back with a goal from Steven McGettigan. McGettigan went for the give and go, but dropped the return pass and did well to slide and toe poke the ball past Wayne Murphy in goal for the Tones. McAnespies built on the goal and played their best football of the game for the rest of the half. Eoin McCusker pointed to level matters, and soon afterwards put McAnespies into the lead going into half time with another point. But for a bizarre goalmouth moment, the half-time lead would have belonged to the Tones. Following a great run by Gary Sears the ball ended up in the hands of Sean Brosnan who only had to slot the ball into the empty net from close range. Brosnan did what would have been enough to finish under normal conditions, but as the Tones began to celebrate the goal, the ball stuck in the goalmouth mud and failed to cross the line. McAnepsies cleared the danger. 1-2 to 1-3 at half time in McAnespies favour. The Tones started the second half a man down. Danny Munnelly was unable to continue due to a shoulder injury and a replacement was not available. The Tones bore down however, and while McAnespies missed several chances to score, the Tones defended extremely well and played the ball well into the forward line to the point where it seemed the sides were even in terms of personnel. Gary Sears was instrumental in the Tones attack, and O’Brien and James Foley anchored the backs. Alo McGeough came up trumps for the Tones in the middle of the field as they beat the odds to secure the win. Adrian Sheehan set out the stall right after the restart with a point from corner back to get the ball rolling, and Sears goaled soon afterwards to put the Tones a goal to the good. McAnespies were guilty of some slack passing out of defence and turned possession over several times. A goal almost came as a result on one occasion, but Ray Brady saved well in goal to save from Marty McGeough. Each side generated good chances as the half wore on. McAnespies pointed four times to two for the Tones in the following period and looked like they were getting on top and that the man advantage would eventually count. Points came from Paddy McCusker, and his namesake, Eoin, as well as Nigel Regan and Shane Lynn. Alo McGeough kept the Tones noses in front with two points, and the Tones then switched up a gear and finished the stronger of the two sides. After Shane O’Brien and Cronan Dempsey traded scores, Denis Newman and Marty McGeough restored the Tones advantage to a goal, and McAnespies started dropping balls into the box looking for the equalizing goal. Marty McGeough pointed a free in injury time to put any notions of a draw to bed. A great win for the Tones, while McAnespies will be disappointed with the outcome of the game. Macs: R. Brady, S. Magill, M. Heffernan, N. Clancy, C. Dempsey (0-1), I. McMahon, S. Lynn (0-1), G. Hennessey, D. Slevin, P. McCusker (0-1), N. Regan (0-2), E. McCusker (0-3), S. McGettigan (1-0). Tones: W. Murphy, A. Skeehan (0-1), P. Curran, M. O’Brien (0-1), D. Newman (0-1), J. Foley, A.McGeough (0-2), M. Carey, D. Munnelly (1-0), G. Sears (1-0), M. McGeough (0-3), S. Brosnan, S. O’Brien (0-1). Just in case anybody was wondering how McAnespies look this year, the answer is that they look very good. Powered by the twin engines of Tyrone men Neil Donaghy and Colm Donnelly in the middle of the field, McAnespies had the Tones beaten in 20 minutes. 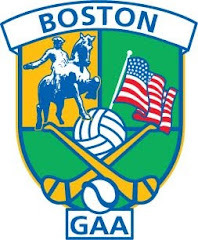 The scary thing for the rest of the field in the Boston championship is that the Wolfe Tones are not half bad, but conceding 3 goals in the first 20 minutes is enough to knock the stuffing out of any team. The Tones came back a little in the second half, and showed that they can play some football, but the task was well beyond their capabilities by that stage. Jamie Kelly Introduced Himself to Boston with a Hat Trick. Colm McCrory opened the scoring, and then won a penalty after being dragged down in the penalty area. McAnespies were going about their business ruthlessly from the get go. Alan Nestor expertly converted the penalty into the top left hand corner and the Tones were behind early. Before the Tones had time to gather themselves Donaghy and Jamie Kelly each pointed, and a second goal followed from Kelly. The St. Annes Bohernabreena man finished from close range. The neutral observers began to shake their heads as the hopes of a close game were fading – fast. Nestor converted McAnespies sixth score with a well-taken point, and the Macs Machine was 10 points ahead before the Tones had a chance to even mount an attack. McAnespies’ back line was more than equal to the task and stifled any attacking attempt from their Southie rivals. Marty Farrell – a star for the Tones from last year – pointed from a free after 18 minutes to get the Tones on the board, but it was a case of whatever you can do I can do better. McAnespies scored their third goal from the ensuing kickout. It was Kelly in the corner who finished – again from close range. Luke Sweetman, of Erin’s Isle fame, followed with a fine point. Farrell got a second point for the Tones, but Kelly’s hat trick came before half time as the Dubliner again converted his third chance well. Marty Farrell and the Wolfe Tones did not get much Change from the McAnespies Back Line. The Tones chances of overturning the 15-point deficit could be best described as slim. Some hard work and a Marty McGeough goal put a degree of respectability on the scoreboard. The Tones had to put a lot of effort in to get any return. Farrell scored from a free and after Colm McCrory canceled out the score, Conor Canning pointed for the Tones. The Tones did string a few scores together, two Farrell points and McGeough’s goal brought them within 3 goals, and just when you were thinking that another Tones goal could make it interesting, Colm Donnelly settled things down again with a point for McAnespies. Things had gotten a little ill tempered, and referee John Fitzpatrick eventually saw fit to send Joey Farrell off for a second offence. Donnelly pointed again for McAnespies, and David Wright even got himself in on the act, pulling off a fine save in the dying seconds. A message from the defending champions perhaps? Macs: D. Wright, C. Moore, M. Kehoe, G. Clark, D. Donegan, K. Hudson, C. Donnelly (0-2), N. Donaghy (0-1), A. Nestor (1-1), L. Sweetman (0-1), C. McCrory (0-2), J. Kelly (3-1), P. Nugnet. Tones: W. O’Dowd, J. Acton, P. Warren, M. Sammon, D. Scullane, B. O’Donnell, G. Brilly, J. Farrell, M. Farrell (0-5), C. Canning (0-1), M. McGeough (1-0), P. Comerford, D. McCabe. Tipperary prevailed in a very entertaining opening game of the senior hurling championship. With scoring aces Pat Howard and Barry McFall in the ranks, Tipp proved to have the edge in a close game where the lead changed hands numerous times. It was a Darragh Kealy goal in the last 5 minutes that sealed the game for Tipp. Barry McFall Proved a Very Effective Aquisition for Tipp. Tipp got off to a great start as Pat Howard converted a penalty, and that propelled the Premier County into a 1-2 to 0-4 lead. Barry McFall impressed with his early touches and the Antrim man put a couple of points over early. With Tipp ahead by a goal Frank Keenan put a point over from the wing for Tom’s, which was answered by Cronan Dempsey with as equally an impressive score. As the game flowed up and down the field, James Moore buried the ball for Tom’s just before half time to give the green and black a 2-point lead to protect for the next 30 minutes. Tipp took control of the game in the second half. Pat Howard moved into corner forward and he and McFall accounted for eight of Tipp’s scores between them. After Darryl Daly extended Tom’s lead to three points, Howard and McFall (2) brought the sides to parity. Again Tom’s got their noses ahead through Frank Keenan points, but Mark Jordan and McFall pointed three times between them to put Tipp one to the good. As the sides vied for the advantage, Michael Moore pulled on a loose ball to send Tom’s ahead once again with 15minutes to go as the game ebbed and flowed. Again Tipp came back, this time the scores came from Pat Howard (2) and Andrew McRedmond. Frank Keenan brought Tom’s level again, but in the final 10 minutes Tipp would not be denied. Howard pointed twice, and the second would have been a goal had it not been for a fine save from David Hession who tipped the rasping shot over the bar. With Tipp three points to the good, and the way the game was going one almost expected a Tom’s goal to level matters. A goal came alright, but it was in the Tipp column. Darragh Kealy finished well from 14 yards to seal the deal. Trevor Kelly goaled late for Tom’s to narrow the gap, but time was called almost immediately afterwards. A good win for Tipp, but with a little help Tom’s could be a force this year. Tipp: M. Daly, M. Heffernan, N. Ryan, E. Ryan, J. Heffernan, C. Dempsey, M. Jordan, N. O’Grady, A. McRedmond, D. Kealy, P. Howard, B. McFall, B. Lonergan. Tom’s: D. Hession, N. Callnan, S. Staunton, J. Lyons, D. Moore, J. Dowling, T. Kelly, D. Daly, J. Cuddy, M. Moore, F. Keenan, J. Moore, C. Moore. The juniors of Cork and the Connemara Gaels got their seasons off to a start Sunday. The Gaels side featured 6 American Born players, while Cork had very much a new look team from last season. The teams went in at half time on level terms, but in spite of firing double digit wides over the 60 minutes, Cork had a little more firepower in the second half to run out comfortable winners as their superior fitness told. Joey Geoghan Runs Through for the Gaels. Cork opened the scoring with 2 well- worked points, Mark Cahalane and Brian Rooney were the scorers. Kieran Lowe and Pat McDonnell worked hard in the Gaels back line to absorb the pressure as Cork looked to make their early advantage count. After several Cork wides, the Gaels hit back with three scores on the trot. A Joe Burke point was followed by a goal from Brian Joyce. The 17-year old got the final touch after some pinball in the goalmouth. Michael Kelly added a fine point from long range and after 18 minutes the Gaels led by three points. The rebels found their scoring touch towards the end of the half with three points on the trot to level matters for the interval. Mike Moynihan Entered the Fray in the Second Half. Cork introduced Mike Moynihan for the second half, and Moynihan instantly put Cork a point ahead with a good score. This was followed by a fantastic long range score from Joe Regan, and Brian O’Loughlin made it a 3-point game in Cork’s favour after 10 minutes. Moynihan, however, showed some waywardness with his free-taking, and also missed a good opportunity at a goal. The Gaels tried to fight their way back into the game but were stymied by the Cork back line that held firm. Moynihan eventually pointed a free, and the result of the game was decided from the kickout. Mark Cahalane won the ball and put it right back over the keeper’s head into the back of the net. Cork now led by seven points. The Gaels made a late run at Cork in the final 10 minutes and battled to the end. John O’Toole was called upon to make some point-blank saves for Cork, and eventually Brian Joyce netted for his second goal– it was the Gaels first score of the second half. Cahalane pointed to extend Cork’s lead to five points as time ran out on the Gaels. Cork: John O’Toole, Eoin Barry, Joe White, Joe Regan (0-1), James Corry, Finbar Bourke, John Gaffney, Alex Hamilton, M. Cahalane (1-4), B. Rooney (0-3), B. O’Loughlin (0-1), A. Kelly, D. Sheehan. Sub: Mike Moynihan (0-2). Gaels: P. Lee, C. Lohan, P. McDonnell, M. Mullins, K. Lowe (0-1), M. McDonagh, Michael Kelly (0-1), M. Conroy, B. Joyce (2-0), B. O’Halloran, Stephen Murray, J. Burke (0-1), J. Geoghan. While I was away in the balmy climes of the Emerald Isle, the first weekend of championship football in Canton came to a premature halt due to thunderstorms. Severe thunderstorms seem to have become a regular feature of Sundays in late May and early June. It makes you wonder if somebody "up there" enjoys seeing the board officers and clubs having deal with rescheduling the senior fixtures since Junior games cannot start until the club has fulfilled a senior game. 6:00 during the week certainly does not suit everybody but what can you do? Also, last Sunday was the first day of Championship football in Boston. Wins for Mayo, Shannon Blues, Donegal, Christopher's, and Wolfe Tones. Pat O'Brien Cup winners, Aiden McAnespies headline next Sunday, June 7, as they play Wolfe Tones. Also, at 3:30 Fr. Tom's and Tipp open the hurling season. Come back on Monday for reports on both games. Back from Ireland now. The weather was unreal (or unusually unreal). Bright, warm, and sunny. I felt bad for the students preparing for exams who could not fully enjoy the rare experience of sustained good weather in Ireland, since the leaving cert is only a week or two away. The roads from Dublin to the southeastern coastal resorts of Wicklow and Wexford would make Route 3 South on a Friday night in the summer look like child’s play. I witnessed the gridlock firsthand as I was heading in the other direction from my brother’s wedding, which was at the Woodenbridge Hotel in Wicklow, on Saturday last. The occupants of the vehicles must have felt trapped with no escape. 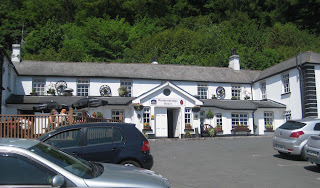 The hotel and the surrounding scenery were beautiful – and the good weather certainly accentuated the experience. Wicklow roads this time of year are also beautiful, with the overhanging trees giving the feeling of driving through natural tunnels. The downside to this is that these same roads are extremely narrow and winding and the posted speed limits of 80kmh makes one wonder whether the local council is trying to increase the accident rate, or assumes that all drivers will get the joke. A few things struck me on the visit. Like the trees in full foliage, lampposts and telegraph poles have sprouted an abundance of election posters. For anybody who has not been in Ireland during an election season recently, there is a certain Darwinian quality to the posters. They are no longer heavy cardboard types with a picture and two or three colours from years ago. The posters have evolved into larger, more durable, and more noticeable creatures. Election posters have adapted to the weather. They have managed to form a plastic type coating so as to endure the usual damp weather conditions and, in adherence to the notion of the survival of the fittest, are trying to outdo each other in size. These things have expanded by at least 10 inches in width and 15 in height. I even saw one blowing across rows of cars stopped at the lights at the junction of the airport road and Collins Avenue, as if to announce itself to the motorists who may not have noticed it on it’s lamppost perch. Are they also coming to life? 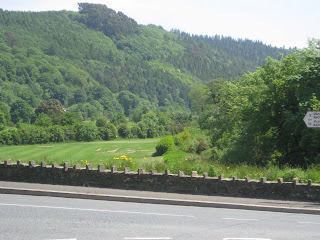 The Garden of Ireland - County Wicklow lives up the name. The other noticeable thing, since we did a lot of driving on unfamiliar roads, was the dearth of traffic signs. Several times we relied on “following the signs” to get to our destination, a grave error. Many times we came to junctions where there were no signs in existence, so we followed our instincts. Sometimes our instincts served us well, other times they let us down. These were not minor roads either – they linked fairly large towns. On our return from Wicklow, we were heading back the way we came, up the N11 and over the Eastlink Bridge to our final destination in Marino – that was our intention. We then got to the stage where the road we were heading back on no longer resembled the one we went down on…we realized that we were on the M50. I inquired of my father what could have happened and he told me that you have to know where to get off to stay on the road you were originally on. That said, the highways around Massachusetts can be confusing, but at least there are several signs to warn you of the impending directional illogicality before you realize that by behaving logically in your choice of route you will end up on the wrong one. On the GAA front the counties of both parents bowed out of their respective provincial championships. Roscommon put paid to the hopes of Leitrim, my father’s county. Leitrim scored two of the best goals that you will ever see, while Roscommon put away a penalty and got the good fortune of a rebound of the post to net their second. They all count however. Roscommon captain Gary Cox performed well by all accounts. Cox spent a summer here 10 years ago with St. Columbkilles – the year I was chairman of the club - (not one to remember). My mother’s county, Longford, were put to the sword by Wicklow – Wicklow featured Thomas Walsh in the middle of the field. Walsh is another veteran of Boston football. The former Carlow footballer, who now lines out in midfield for Wicklow, won an intermediate title with the Galway football club several years ago. Playing at center forward for Galway, Walsh saw the Brighton club over the line that year. I’m not sure if it is coincidental that the wedding we went to was in Wicklow or not. I was also home for a wedding in the Dolmen hotel in Carlow town a few years ago. I enjoyed both weddings tremendously. It seems Tommy prefers Wicklow to Carlow for the football, but I’m finding it hard to pick which is better for weddings.